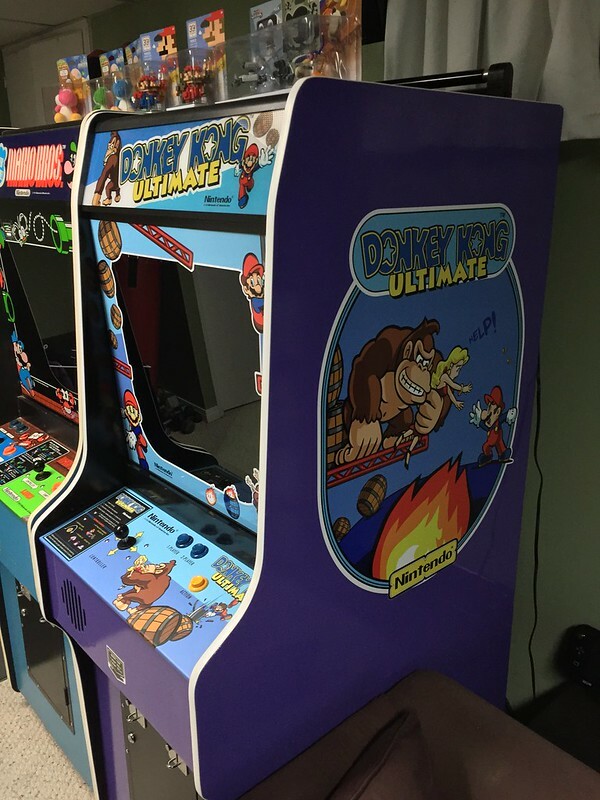 I always wanted a classic Nintendo cab, But i want to put a bit of my own touch on it. 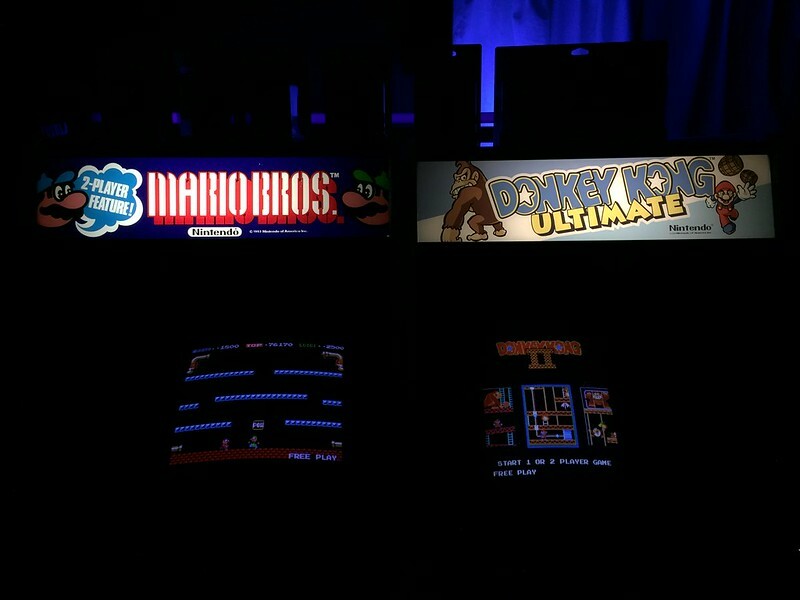 Also, if i build a multi-Kong it should sway me from wanting to collect a "Nintendo Row" with the limited space i currently have. 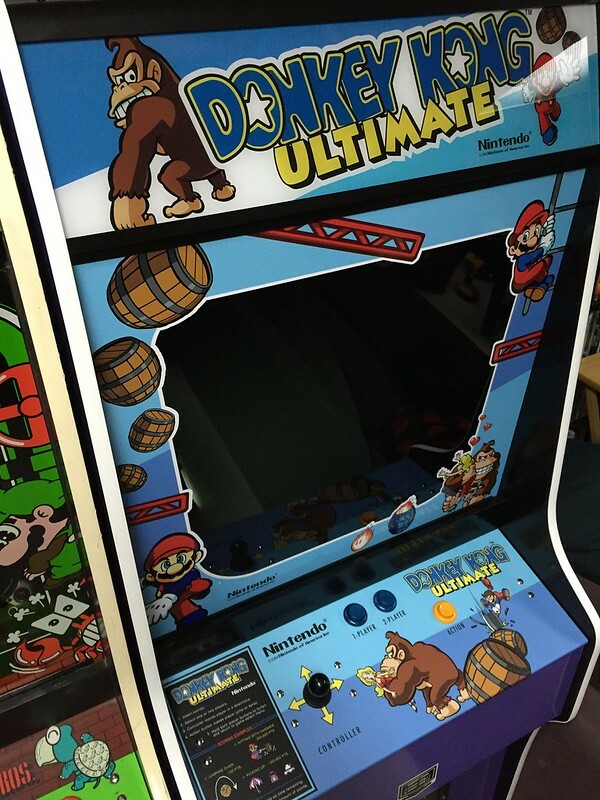 Think of it like a modernized version of the Nintendo cab, done as a Multi-Kong. 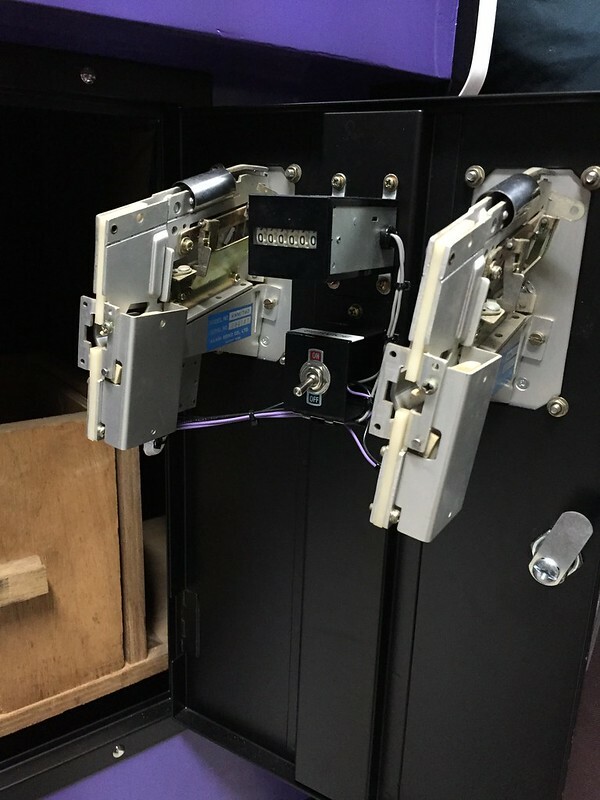 Custom black/purple JAMMA wiring, original Nintendo t-moulding, evolved character art, an original Sanyo monitor, original controls, and Purple paint. I have a couple surprises planned along the way as well. As always i'll be posting extra stuff and videos to Instagram/Twitter with the hashtag #ChancesArcade3 So feel free to follow along! 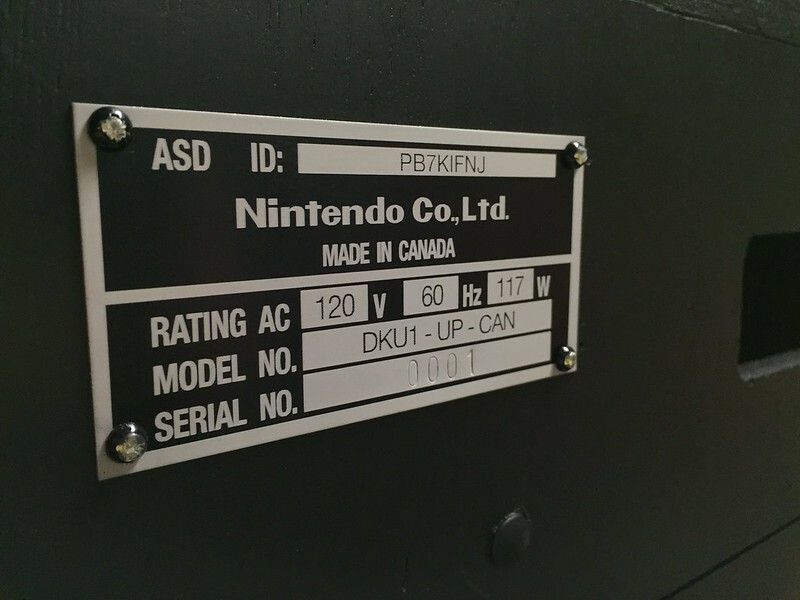 -Metal DK3 with custom CPO, and original DK Nintendo Controls. 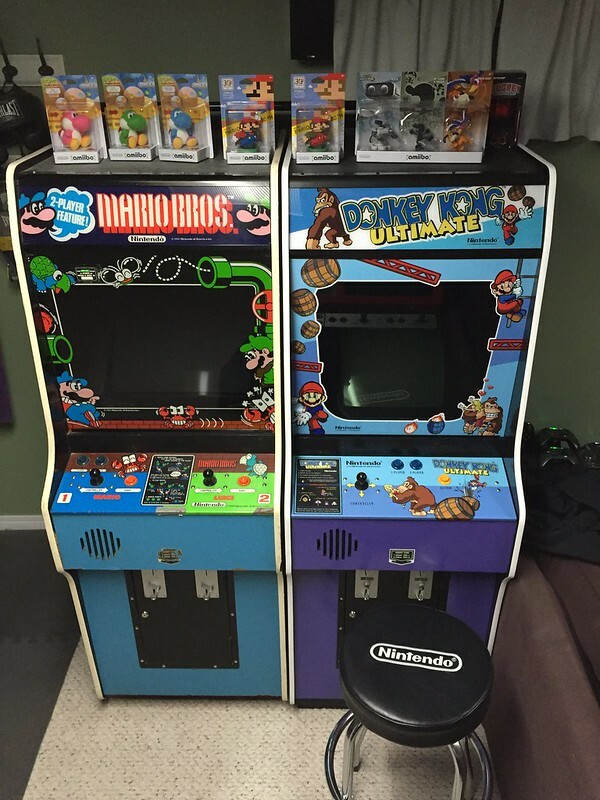 -Second Metal Nintendo Vs CP with a 2 player setup to swap out for other ArcadeSD games. 8. Beer & Video games. What a d-bag the owner of this video is. He won't even let people like you share it on other sites. Ok, so I watched it on YouTube. 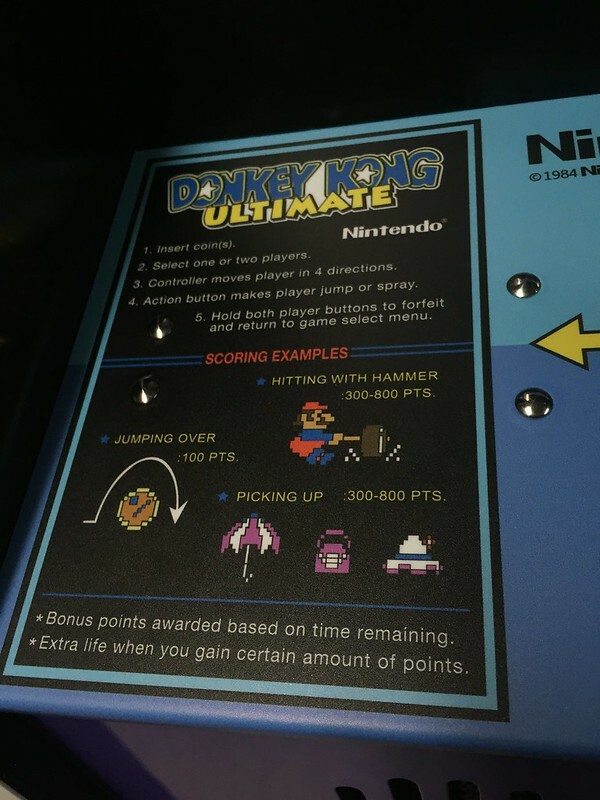 Donkey Kong and a Jamma Harness? The video was a screenshot of Donkey Kong and a JAMMA harness, and nothing else. Yep. it's a lame attempt at a teaser trailer made to the time constraints of Instagram. I was bored, sue me. More to come. Working on the art now. if you want quick answers or a one post build then this is not the thread you're looking for. I just realized i had the "Embedding" option turned off. should work now. Wow... you just can't stop, can you? light flares and film filters? Yeah, sure... maybe later after i get back from the Saddle Dome. Most of us are compelled by the sickness. Cue the obligatory video . . .
Hey Chance when you and your old lady get into it does she tell you that you like those arcades more than her? The code name for this build should be 'The Dong Awakens'. They often do. Sometimes you have to think about baseball or old people naked. Or maybe "Jamma - lama - dong - ki - kong"
As much as I enjoy filling my inbox with messages Ima start responding here. Steve Thomas is right. DK monitors were 19". The reason I thought they were a 20" inch is because they were a 19" Sayno EZ-20. And that is what I remembered the EZ-20. I'm not sure what direction you are going in but by your trailer I assume you are going with an original cab and not a Donkey Kong run by a computer. I don't know how rare they are but I would keep looking around to see if you can find a 19" monitor. 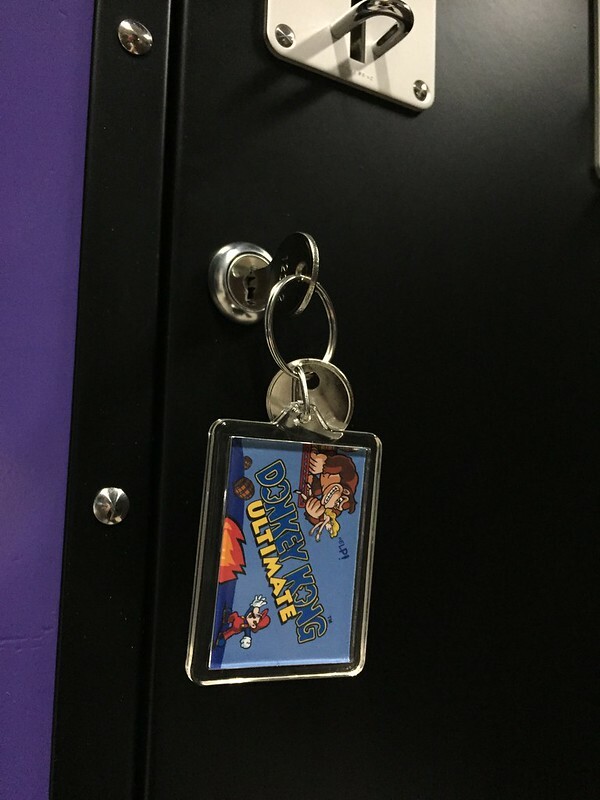 It took me a while to find my Nintendo coin door but I was glad I didn't put anything else in its place. Haste makes waste. Good luck. 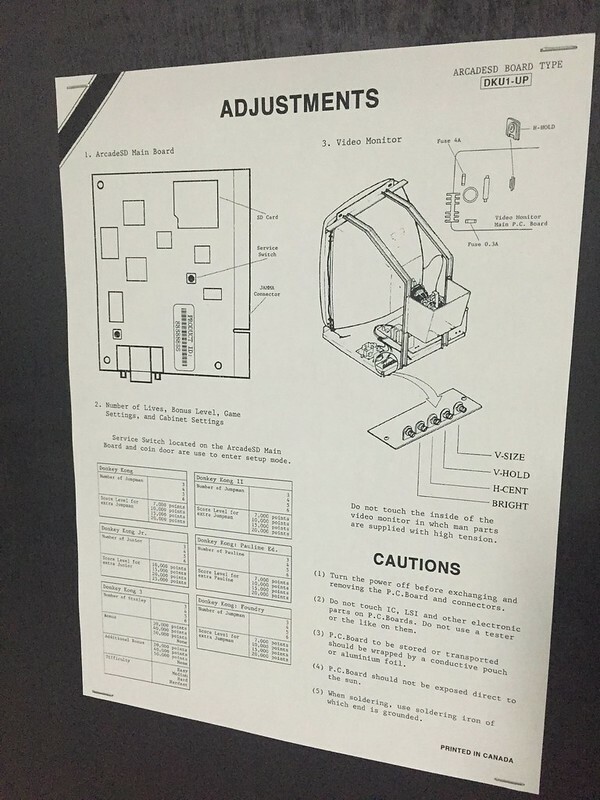 I'll be watching this build. 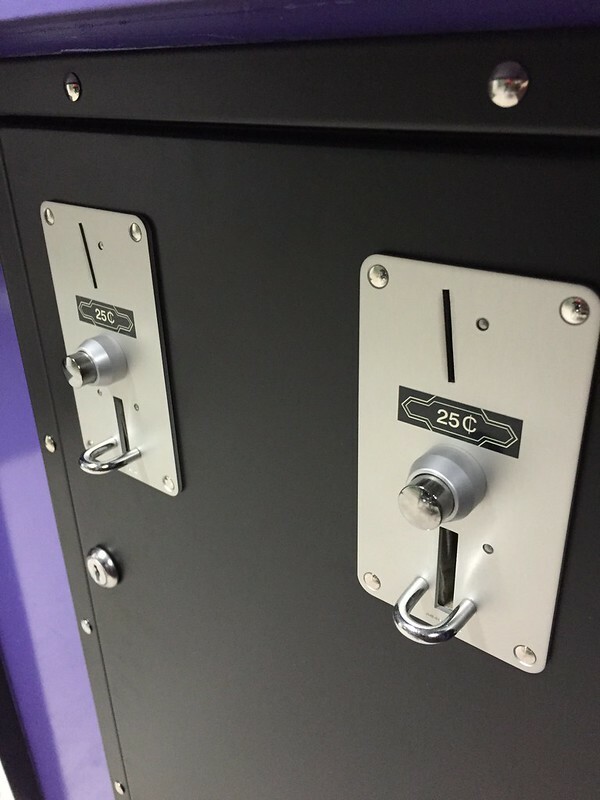 Coin door found and ordered. Also picked up a 19" WD-D7700 CRT. It's gonna need some love. But should fit the bill. Ru gonna put a jamma card in it? Is the above the direction you are going with your artwork? I'm probably just throwing up random crap to throw you off. 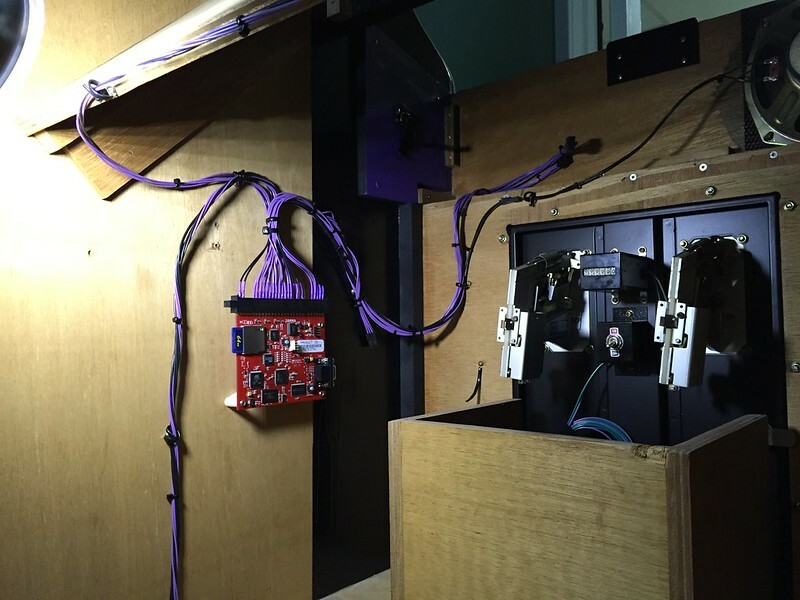 For all you know it's going to be a SpyHunter cab. Whatever it is ensure that DK loses the tie. The tie ruins it. Trust me, i completely understand, I'm just not THAT good. Preproduction artwork. I wanted to wait to release the theme until i figured it could be done the way i want it. This is just an early look at the work i'm doing. This looks real neat. 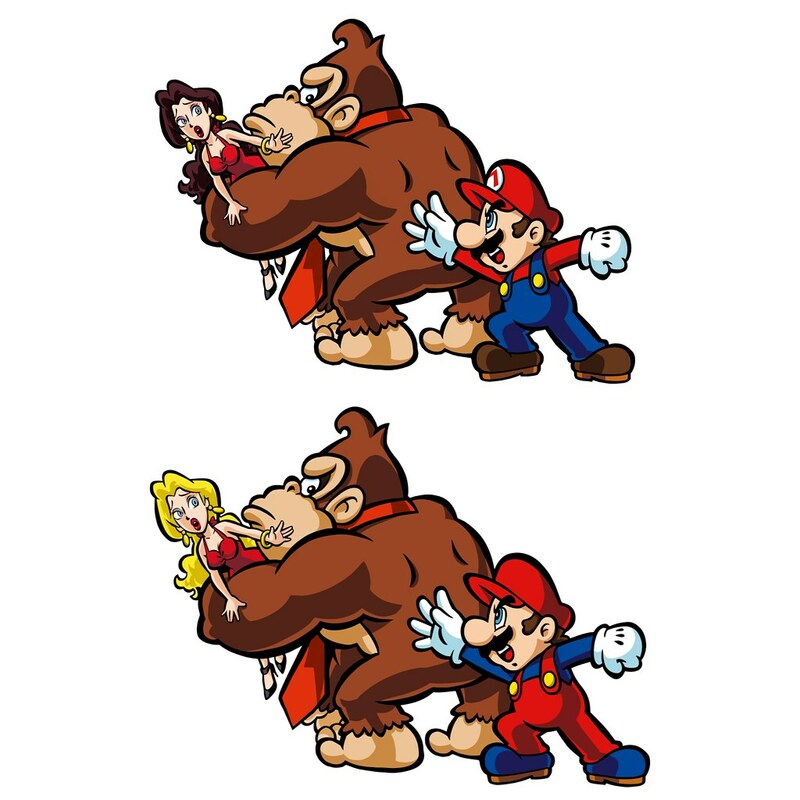 Are you doing a 16bit sprite swap? 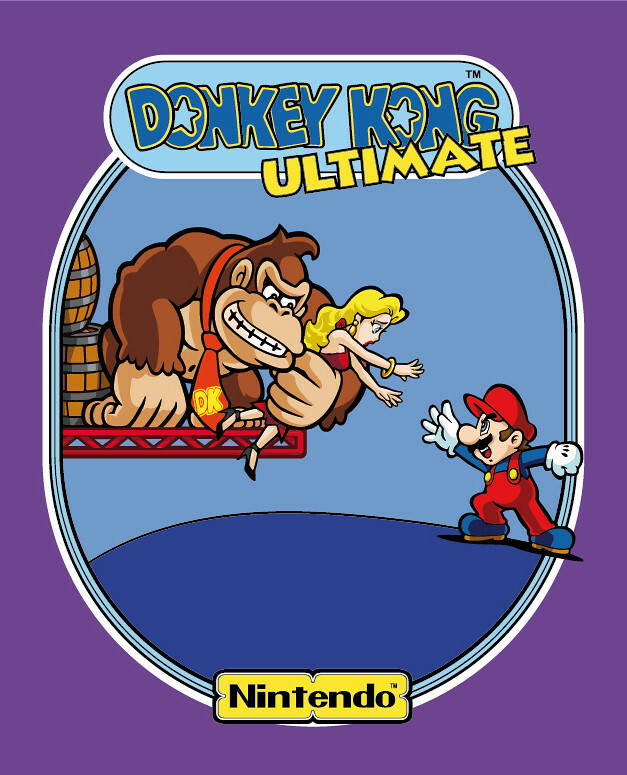 Somewhere online there is a few levels of DK with SNES artwork. This looks real neat. 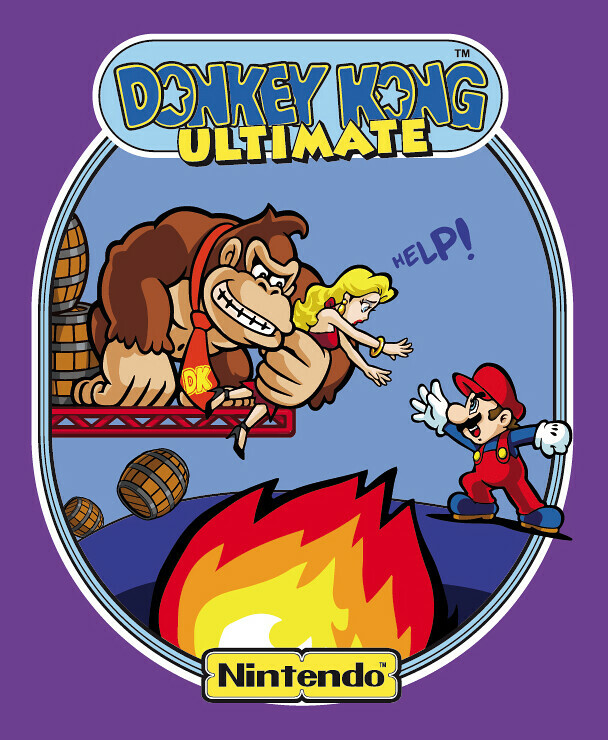 Somewhere online there is a few levels of DK with SNES artwork. I hadn't planned on it. Its an interesting thought tho.. The artwork is looking very good although not sure about the 'help!'. Also. What does it look like with a thin black line around the white perimeter of the design? I tossed around the idea of adding "HELP!" to it or not. that whole section without it is pretty empty. I'm still tinkering with it. Thanks tho, i'm still on the fence. I have no need to add a black border, as the purple represents the cab colour. 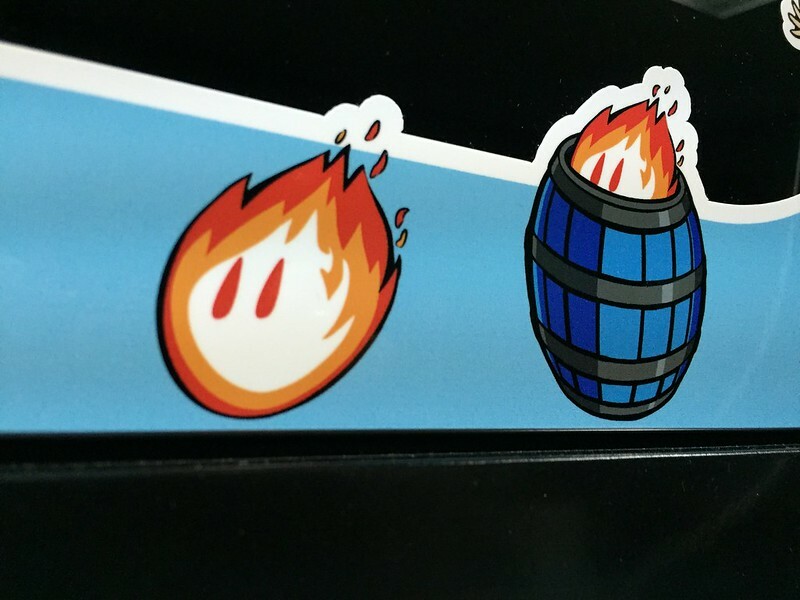 I also have game logos for all the games that will go just below this side art on each side. I'd have to add a black stroke to those as well and some of them have one on the other side of the white exterior stroke, so it ends up looking funny and repetitive. 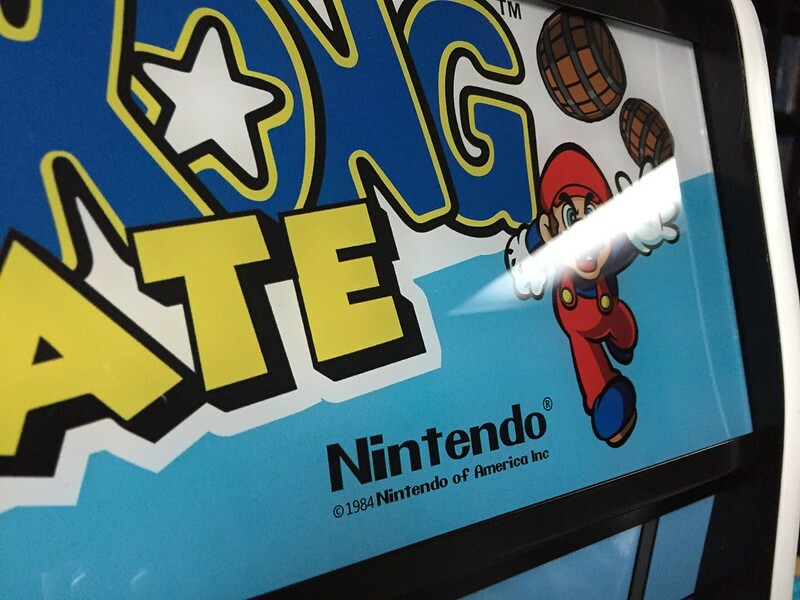 Just checked out a bunch of artwork for DK. None of them have a black outline so yours is more authentic anyway. I just realized i'm going to have to put one in anyways. a .001 cutline for the printer. haha, thanks for reminding me! Definitely lose the 'help' and the fire. It seems distracting and thrown on last minute. Love the barrels I would try and expand on that. Plus purple? Really? 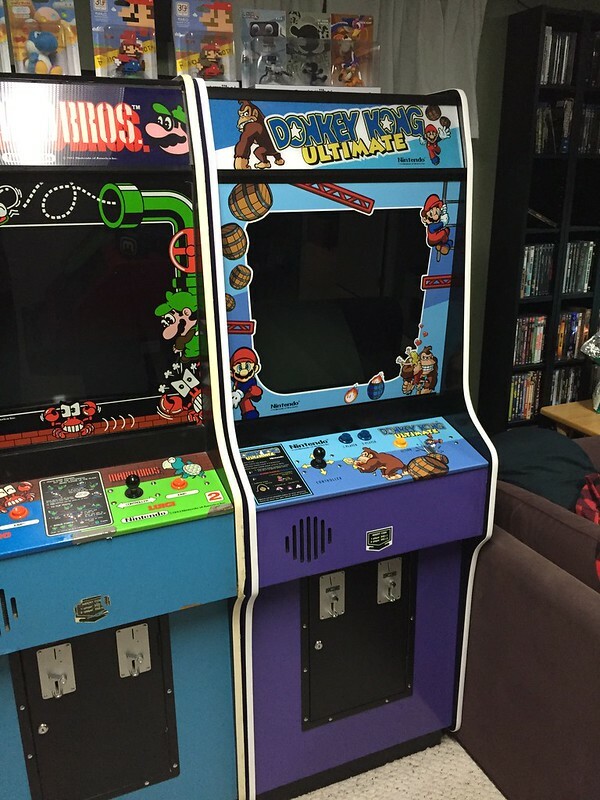 It would look so much nicer next to Flynns Arcade with it being colored DK blue. 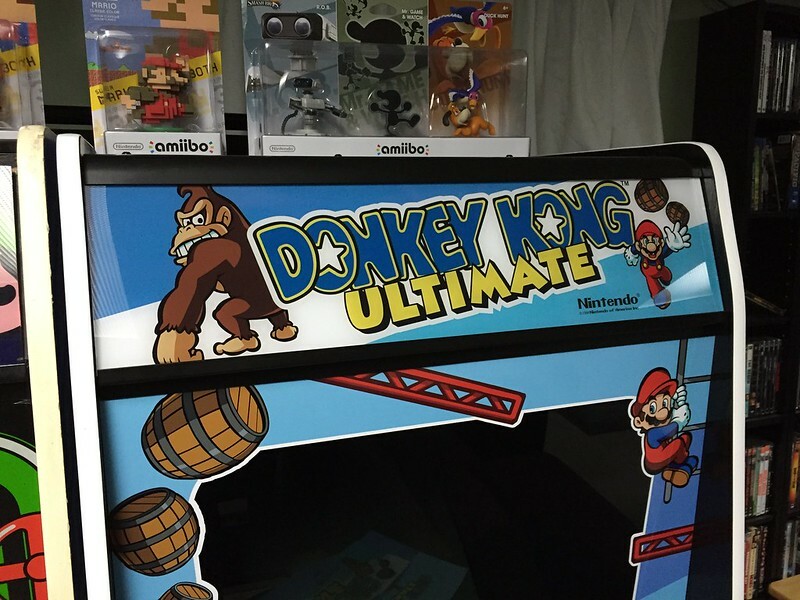 I dunno, that DK to me with the tie screams "CONSOLE". Lose the tie and the "Help" and I think you might be getting somewhere. If you can wait a few weeks I can help you out with the art, unless somebody jumps in first to help ol'knuckles drop the neck anchor.